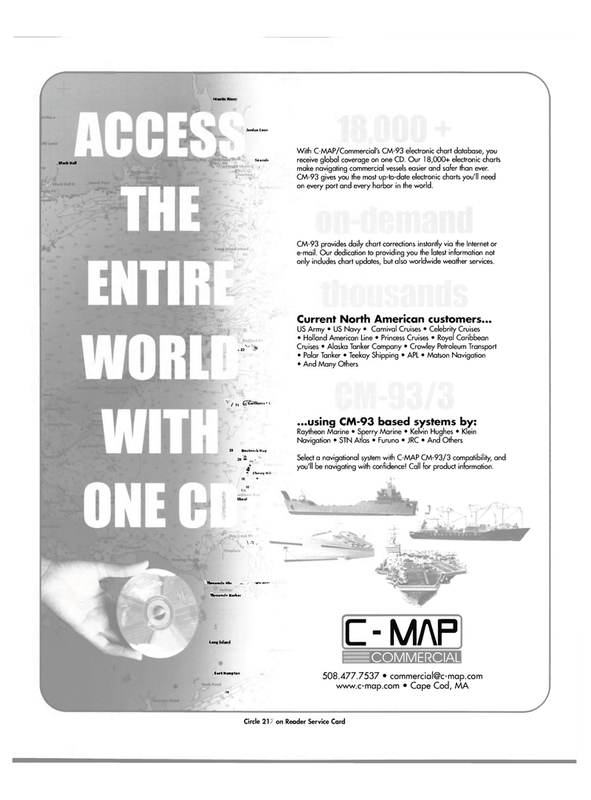 With C-MAP/Commercial's CM-93 electronic chart database, you receive global coverage on one CD. Our 18,000+ electronic charts make navigating commercial vessels easier and safer than ever. CM-93 gives you the most up-to-date electronic charts you'll need on every port and every harbor in the world. CM-93 provides daily chart corrections instantly via the Internet or e-mail. Our dedication to providing you the latest information not only includes chart updates, but also worldwide weather services. Select a navigational system with C-MAP CM-93/3 compatibility, and you'll be navigating with confidence! Call for product information.